in the upper Mekong Region. is a joint effort between TianZi, French, and Swiss scientists and companies for the protection of orchids in their natural habitats. 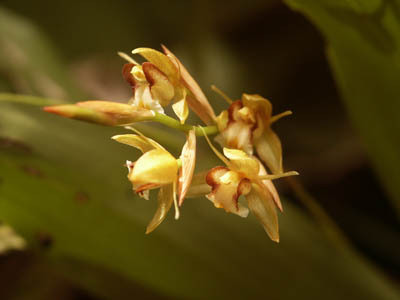 Orchids in the Golden Triangle region between North Thailand, Myanmar, Laos, and Yunnan of China are under severe pressure from the fast expansion of rubber and tea plantations and from wild collection for Chinese medicine production. 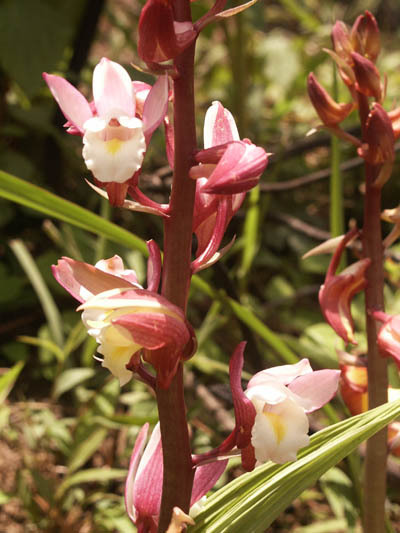 The project is making an assessment of the existing orchid flora and establishing a mother plant collection in a 6 square kilometer protected site under the care of TianZi. Research on pollinating insects, vegetation analysis, and on potentials for sustainable orchid production and trade is ongoing. 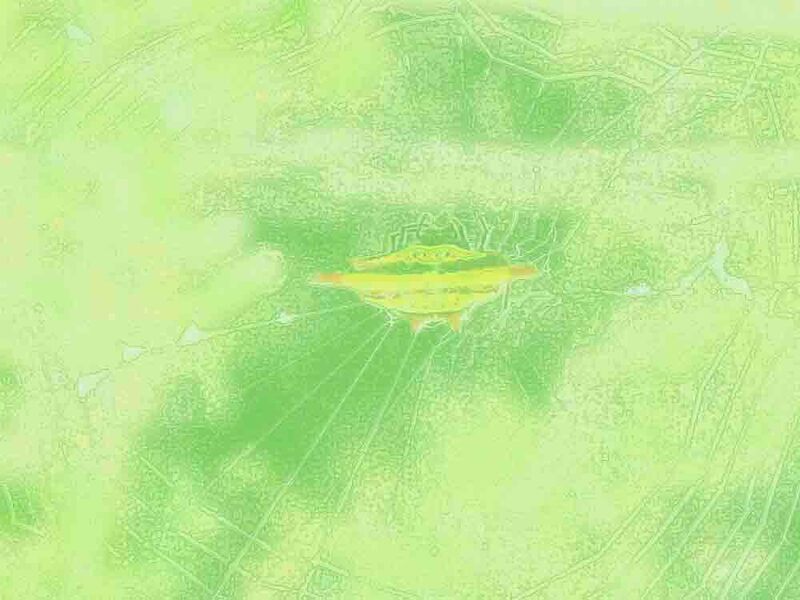 The following are pictures of some of the species found in the area. 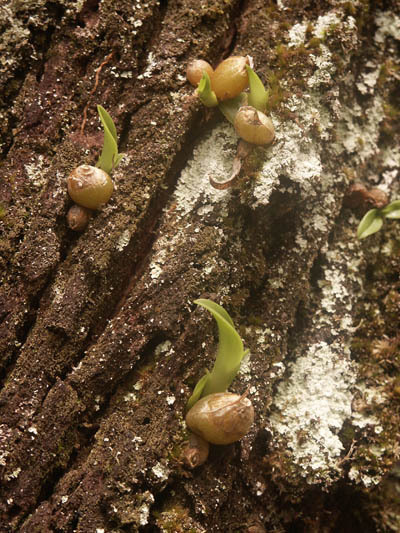 Not all tree barks are suitabe for the establishment of orchids. This bark of a local Fagaceae, however, is perfect. The seeds of this Eria amica found their symbiotic fungus obviously in the crevices of the oak tree. High up in old trees Vanda coerulea is exposed to full sunshine. These old mother plants fall with the decay of the trees and can easy be re-established on younger trees. 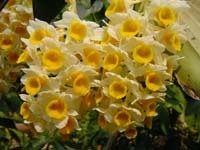 One of the smallest dwarf Dendrobiums with a gorgeous flower is Dendrobium christyanum. It flowers in June. Its compact stems are usually not harmed by the frequent grass fires. A beautiful ground orchid with potatoe like tubers, which also escape grass fires, is Eulophia spectabilis. 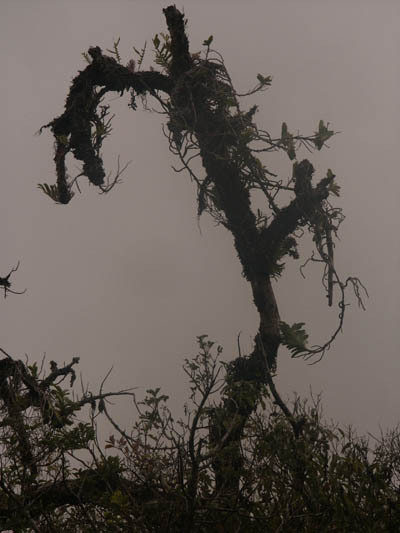 Its leaves and flowers appear after the first strong rains in June. 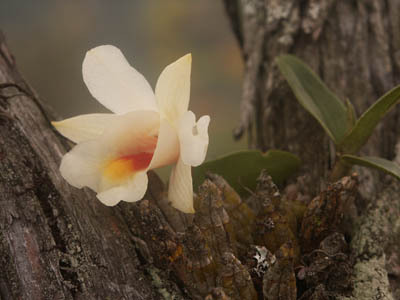 This epiphytic species might be Coelogyne prolifera, but requires taxonomic verification. 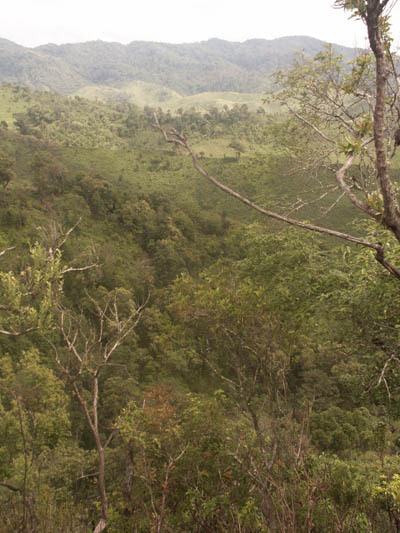 An overview of the project site of the Orchid Recovery Project.